For the Mexican Olympic shooter, see Héctor Elizondo (sport shooter). 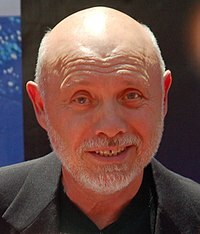 Héctor Elizondo (born December 22, 1936) is an American actor. Elizondo is best known for his television roles playing Dr. Phillip Watters on Chicago Hope and Ed Alzate on Last Man Standing, and movie roles like Mr. Grey in The Taking of Pelham One Two Three, Detective Sunday in American Gigolo, Barnard Thompson in Pretty Woman, and Jon Flint in Beverly Hills Cop III. Elizondo's awards and accolades include a Golden Globe Award nomination, an Emmy Award (five nominations), two ALMA Awards (eight nominations), and five Screen Actors Guild Award nominations. Elizondo was born in New York, the son of Carmen Medina Reyes and Martín Echevarría Elizondo, a notary public and accountant. His parents were Puerto Ricans of Spanish descent who moved from Puerto Rico to New York City with the hope of finding a better life. He grew up on the Upper West Side. At a young age, he demonstrated a talent for sports and music. He sang for the Frank Murray Boys' Choir when he was 10 years old. Upon graduating from junior high school in 1950, he enrolled in the High School of the Performing Arts. He also attended another public high school, where he excelled in basketball and baseball. His baseball skills were good enough for him to be scouted by both the San Francisco Giants and the Pittsburgh Pirates. In 1954, Elizondo enrolled in City College of New York, intending to become a history teacher. However, during his freshman year, he became a father and dropped out of college, going to work full-time to support his family. Later, he divorced and gained full custody of his son, Rodd. From 1962-63, Elizondo studied dance at the Ballet Arts Company at Carnegie Hall. During 1962-63, he also studied acting under Mario Stiletti at Stella Adler Theatre Studio when it was located in the Dryden East Hotel on East 39th St. In 1965, he landed a part in the off-Broadway show Kill the One-Eyed Man. In 1968, he got a part in the play The Great White Hope. His first major success came when he played "God" in the guise of a Puerto Rican steam room attendant in Steambath, for which he won an Obie Award for his performance. Many of his roles involve playing a friend of or sympathizer to the lead character. In 1974, Elizondo played an ex-mafioso-turned-subway hijacker "Mr. Grey" in The Taking of Pelham One Two Three. He starred as a Puerto Rican widower on the CBS television series, Popi (1975–76). The short-lived series, which ran for 11 episodes, was one of the first American network television series to feature a Latino theme and cast. In 1975, he portrayed the murderer in an episode of Columbo, "A Case of Immunity". He was a member of the cast of the 1985-86 CBS situation comedy Foley Square, starring Margaret Colin. In the 1980s, Elizondo befriended Garry Marshall, who was impressed with his talent. Their first movie together was Young Doctors in Love, in which Elizondo displays his guitar-playing talent. His role in Pretty Woman lasted only 10 minutes, but led to a Golden Globe nomination. In 1999, he co-starred in Runaway Bride as Fisher, the husband of the male protagonist's ex. Elizondo has participated in more than 80 movies (17 of which have been Marshall's). He appeared in every movie that Marshall directed, including a brief but funny appearance as a Portuguese fisherman in Overboard, which starred Kurt Russell and Goldie Hawn. In 2001, he was featured in the short-lived television drama Kate Brasher and portrayed security head Joe in the movie The Princess Diaries, a role he reprised in the 2004 sequel, The Princess Diaries 2: Royal Engagement. As a voice-actor, he played Bane, one of the more aggressively themed characters in Batman: Mystery of the Batwoman. He may be best known to television audiences as Dr. Phillip Watters on the CBS television series Chicago Hope created by well-known television creator David E. Kelley. He has won both an Emmy and ALMA award and was nominated for a Satellite Award and several SAG Awards for playing this role. He is one of only two people to remain on the show for its entire run, the other being Adam Arkin. On April 30, 2008, USA Network announced that Elizondo would be cast on Monk as Dr. Neven Bell, Adrian Monk's new psychiatrist, following the sudden death on April 8, 2008, from a heart attack of Stanley Kamel, who played Monk's original psychiatrist. Since 2011, Elizondo has had a leading role on the Fox (formerly ABC) comedy Last Man Standing, starring Tim Allen and Nancy Travis. Elizondo has been married twice. He has a son from his first marriage. Since 1969, he has been married to Carolee Campbell, an Emmy Award-winning actress, photographer, and publisher. They live in Sherman Oaks, California. In April 2013, Elizondo participated in the Los Angeles Times Festival of Books, held at the University of Southern California, promoting children's reading. Proud of his Latino heritage, Elizondo does not accept roles that he feels are stereotypical and/or demeaning in any way. 1969 The Jackie Gleason Show Episode: "The Honeymooners: Mexican Hat Trick"
1972 All in the Family Carlos Mendoza Episode: "The Elevator Story"
Carl Dettrow Episode: "Web of Death"
Episode: "A Need to Know"
1974 Maude Cop Episode: "Speed Trap"
1975 Baretta Jerry Damon Episode: "The Fire Man"
Frank Falcone Episode: "Say Goodbye to Jennifer"
Episode: "A Good Clean Bust with Sequel Rights"
1978 The Eddie Capra Mysteries Strickland Episode: "Dying Declaration"
1982 Bret Maverick Mr. Gomez Episode: "The Hidalgo Thing"
1984 Hill Street Blues Insp. Joe Keenan Episode: "Ewe and Me, Babe"
1986 Amazing Stories Meadows Episode: "Life on Death Row"
1986 Matlock Det. Joe Peters Episode: "The Cop"
1987 Night Heat Detective Hector Gurvin Episode: "The Kid"
1989 The Equalizer Ray Quintero Episode: "Past Imperfect"
1992 Fish Police Don Calamari Episode: "Beauty's Only Fin Deep"
1993 Tales from the Crypt Leo Burn Episode: "As Ye Sow"
1993 Animaniacs Stradivarius (voice) Segment: "The Cat and the Fiddle"
1994 Picket Fences Dr. Phillip Watters Episode: "Rebels with Causes"
1994–95 Aladdin Malcho (voice) Episodes: "Rain of Terror" & "The Return of Malcho"
1995 Batman: The Animated Series Sheldon Fallbrook (voice) Episode: "The Terrible Trio"
1996 Gargoyles Zafiro (voice) Episode: "The Green"
1998 Mikhail Baryshnikov 's Stories from My Childhood Voice Episode: "Ivan and His Magic Pony"
1998 Early Edition Dr. Phillip Watters Episode: "Mum's the Word"
2001–04 American Experience Narrator Episodes: "Zoot Suit Riots" & "Remember the Alamo"
2002 The West Wing Dr. Dalton Millgate Episode: "Dead Irish Writers"
2002 Street Time Fariz Hammoud Episodes: "No Excuses", "Betrayal" & "Reversal of Fortune"
2002 What's New, Scooby-Doo? Dr. Guitirrez Episode: "3-D Struction"
2003 Without a Trace Father Henry Stevens Episode: "Revelations"
2004 Jack & Bobby Gerald Cruz Episode: "Chess Lessons"
2001–04 Justice League Lt. Kragger (voice) Episodes: "Starcrossed (1-3)"
Hath-Set (voice) Episodes: "Hunter's Moon" & "Ancient History"
2006 Avatar: The Last Airbender Wan Shi Tong (voice) Episode: "The Library"
2011 American Dad! Himself (voice) Episode: "Fartbreak Hotel"
2013 The Legend of Korra Wan Shi Tong (voice) Episode: "A New Spiritual Age'"
2006: Won, "Lifetime Achievement Award"
^ Wagner, Debbie (2008-08-07). "Mr. Elizondo and the obsessive-compulsive detective". Popentertainment.com. Retrieved 2013-09-19. ^ Laezman, Rick (2002-04-01). "Anger ain't the way to go". Latino Leaders. Archived from the original on 2013-09-21. Retrieved 2013-09-19. ^ "Style Live: Movies & Videos". Washington Post. 1999-07-30. ^ "A LOCAL KID MAKES IT TO BROADWAY BUT NEVER FORGETS HIS ROOTS". Upper West Side Rag. March 10, 2016. Retrieved 20 March 2019. ^ a b c Elizondo profile Archived 2007-01-25 at the Wayback Machine, FortuneCity.com; accessed 2016-03-19. ^ Keller, Richard (2008-07-08). "Tony Shalhoub and Hector Elizondo talk about season seven of Monk". Tvsquad.com. Retrieved 2013-09-19. ^ "Monk TV Series News -Emmy Award-Winner Hector Elizondo To Appear In Monk" (Press release). USA Network. 2008-04-30. Archived from the original on 2008-05-13. Retrieved 2013-09-19. ^ Carrion, Andrea (2013-04-19). "Héctor Elizondo, un apasionado de la lectura". Hoy Los Angeles (in Spanish). Archived from the original on 2013-09-21. Retrieved 2013-09-19. ^ "Authors and Performers". LA Times Festival of Books. Archived from the original on 2013-12-04. Retrieved 2013-12-25. ^ Profile, washingtonpost.com; accessed 2016-03-19. 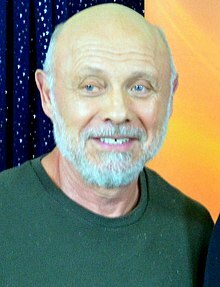 Wikimedia Commons has media related to Héctor Elizondo.